Our mission is to be your ultimate online solution for selling your used car. Dedication: We work for you. Save yourself the hassle of posting and paying for classified ads that lead to zero leads or sales. Let our expert consultants act as your personal used vehicle marketer and advertiser. Exposure: Qualified shoppers go to known brands with lots of inventory. We will advertise to sell your car on the Top 4 Auto Sales Websites which will allow you to reach 100 million visitors a month, more than any other auto classifieds website. Successful: Save time with qualified leads. 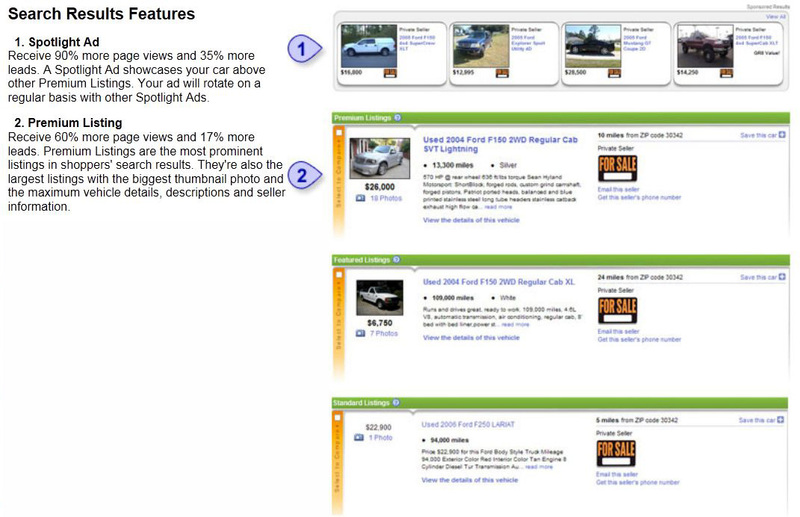 Our Ad visitors are focused on shopping for cars, so your ad will be in front of serious buyers. Our ads are at a reasonable cost and of high value. And our ad features are designed to sell. Guaranteed: Our service is guaranteed!!! If your vehicle doesn't sell within 90 days, we'll refund the fees you paid for the initial purchase price of your ad. STEP 1: Choose an Ad Listing. The first decision you'll need to make is which ad package to select. Your choices vary by market, but one of the biggest deciding factors is how long you'd like your ad to run. If you'd like top dollar for your vehicle, or you're concerned your car might not be in high demand, you may want to choose a "Run 'til It Sells" ad, which ensures you won't have to buy a new ad if your car doesn't sell right away. On the other hand, if you expect to get an average price for your car and you're fairly confident of a quick sale, you may want to consider running your ad for less time. Make sure you also look at the details of what's included in your ad package. Higher priced ads usually include additional features that help your ad stand out, as well as extra run time. Give us a call at (770)330-3789 or submit a service request for below. If you submit a service request, a MICOS consultant will call you within 1 business day to create your ad, help you price your car, set up your information and get your auto listings online. Our consulting team is available to provide assistance and answer any questions until your car is sold. Receive 60% more page views and 17% more leads. Premium Listings are the most prominent listings in shoppers' search results. They're also the largest listings with the biggest thumbnail photo and the maximum vehicle details, descriptions and seller information. 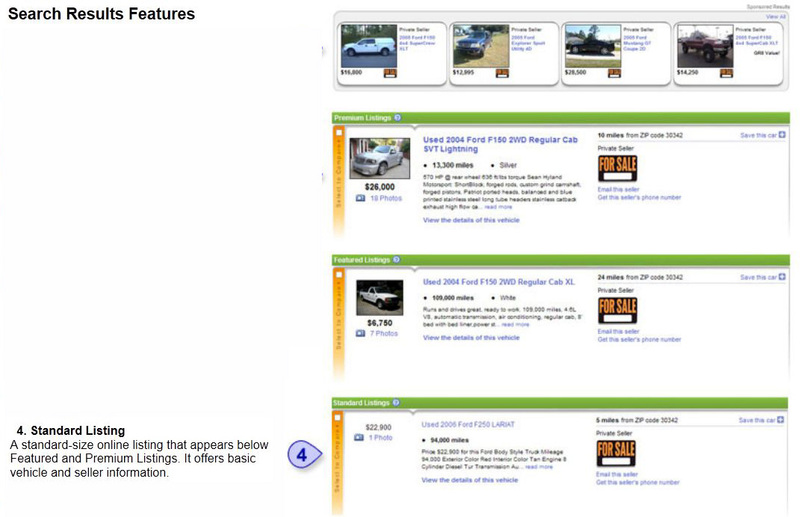 You will also receive a Bonus 14 Day Spotlight Ad in Auto Trader that showcases your car above other Premium Listings. Your ad will rotate on a regular basis with other Spotlight Ads. A larger listing that appears between Standard and Premium Listings. It contains the same type of information as a Premium Listing, but is less comprehensive. 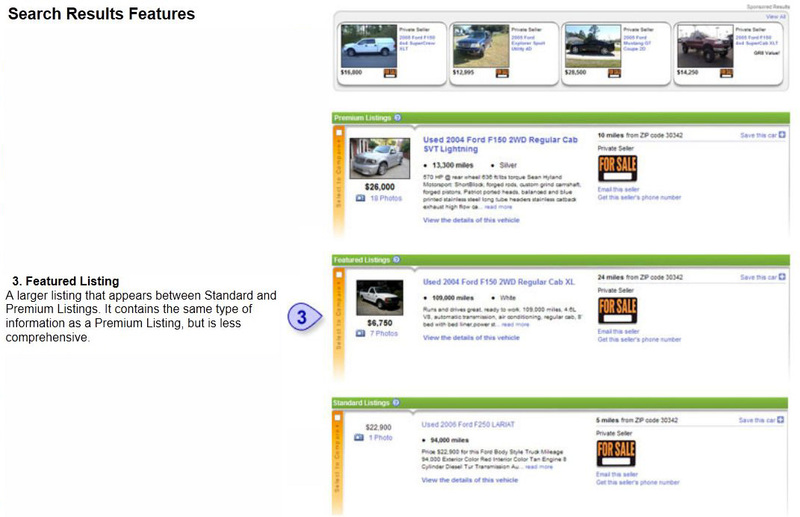 A standard-size online listing that appears below Featured and Premium Listings. It offers basic vehicle and seller information. If your vehicle doesn't sell within 90 days, we'll refund the fees you paid for the initial purchase price of your ad. If your vehicle doesn't sell within 90 days, we'll refund the fees you paid for the initial purchase price of your ad. If your vehicle doesn't sell within 90 days, we'll refund the fees you paid for the initial purchase price of your ad. Your ad will run until your car sells. After 365 days, we'll assume you've sold your car and remove your ad. This helps keep our listings up-to-date for buyers and sellers. In the unusual event that you need more than 365 days to sell the original vehicle listed, please call Customer Support to continue running your ad. Your ad will run for 8 weeks. In the event that you need more than 8 weeks to sell the original vehicle listed, please call Customer Support to continue running your ad. Your ad will run for 4 weeks. In the event that you need more than 8 weeks to sell the original vehicle listed, please call Customer Support to continue running your ad. Ads with photos typically get twice the response of ads without. When shoppers select the image, they'll see an enlarged photo. Ads with photos typically get twice the response of ads without. When shoppers select the image, they'll see an enlarged photo. Ads with photos typically get twice the response of ads without. When shoppers select the image, they'll see an enlarged photo.